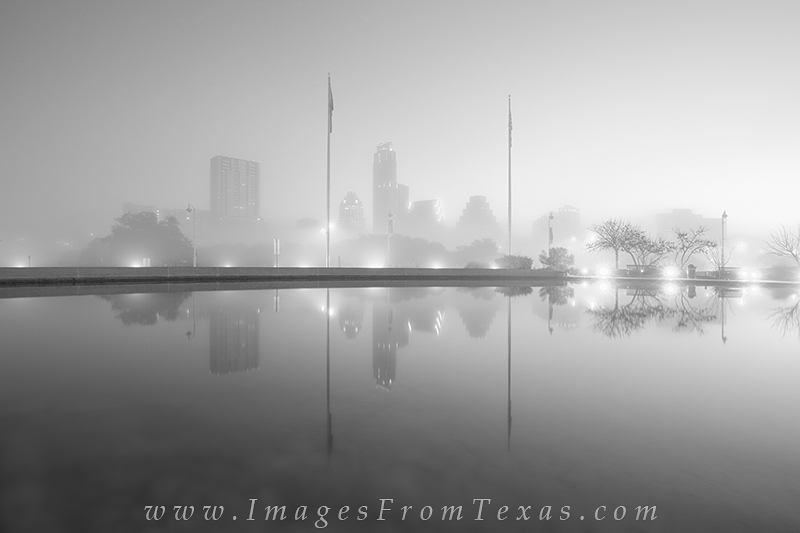 This black and white image of the Austin skyline comes from a pool near the Long Center along Lady Bird Lake. It was a cold morning and fog permeated the air. Photo © copyright by Rob Greebon.